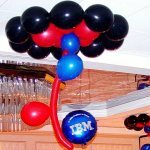 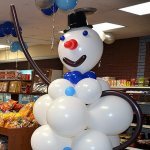 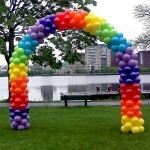 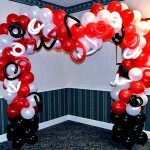 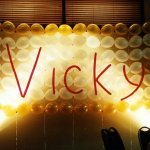 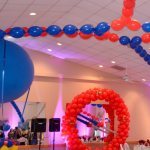 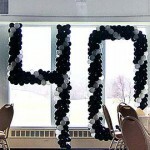 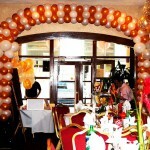 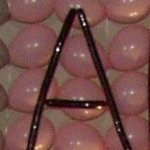 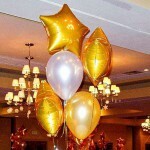 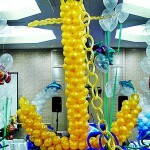 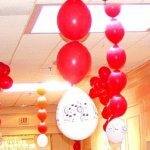 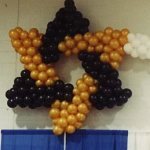 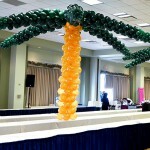 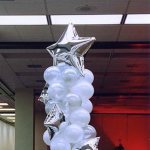 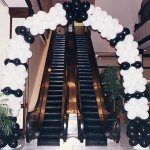 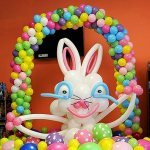 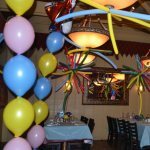 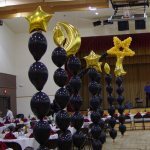 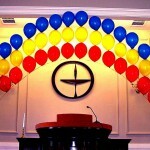 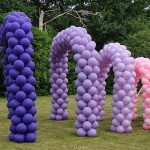 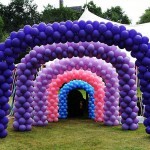 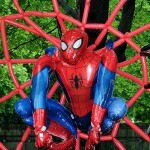 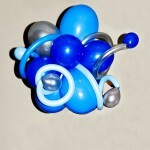 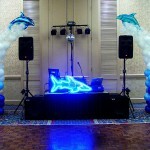 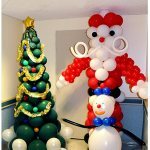 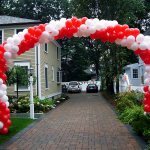 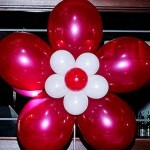 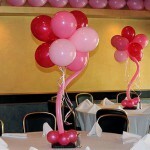 Regular balloon arch. 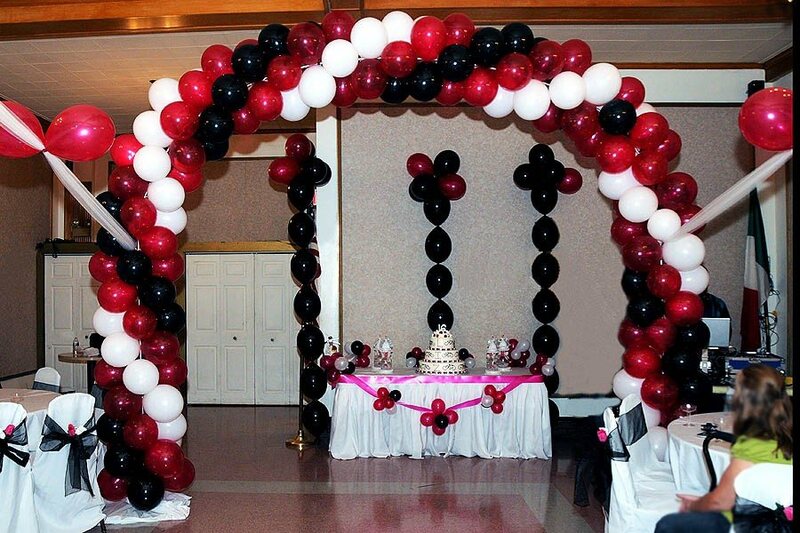 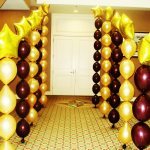 Two arches like that were used for the birthday party - one at each end to make the stretched room to make it more proportional. 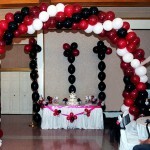 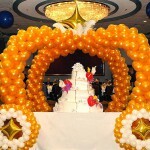 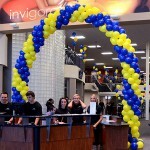 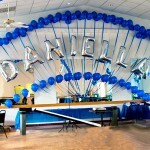 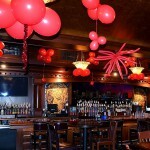 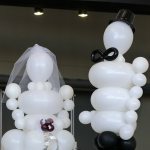 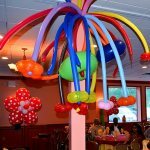 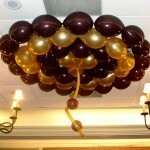 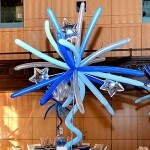 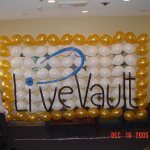 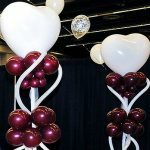 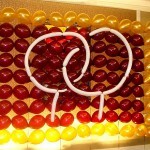 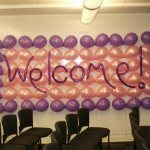 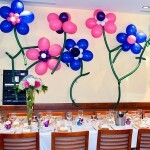 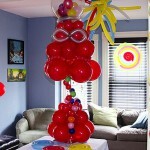 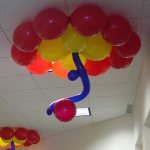 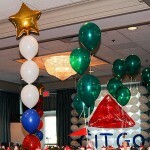 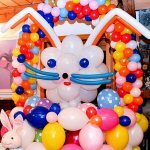 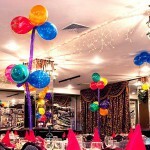 The balloon arches are connected with tulle supported by helium balloons.